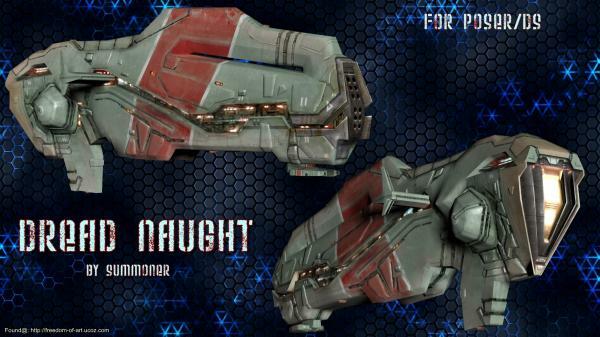 Dread Naught Figure with articulated Turrets. The Dread Naught comes as a Figure and Static Prop. and will need at least a Cam Yon of 8000 ! to scale these down to the same Percentage for your Scene.